There will be weekly prompts each Monday, through April 3. The prompts so far have been wonky log cabin , the half triangle block. stack, cut & sew & (my favorite) wonky geese. Next to flying geese, stars are my favorite block. Star blocks come in all shapes and sizes and with improv, you've the opportunity to create unique stars. You could even use some of the wonky geese you made last week with this week's prompt. 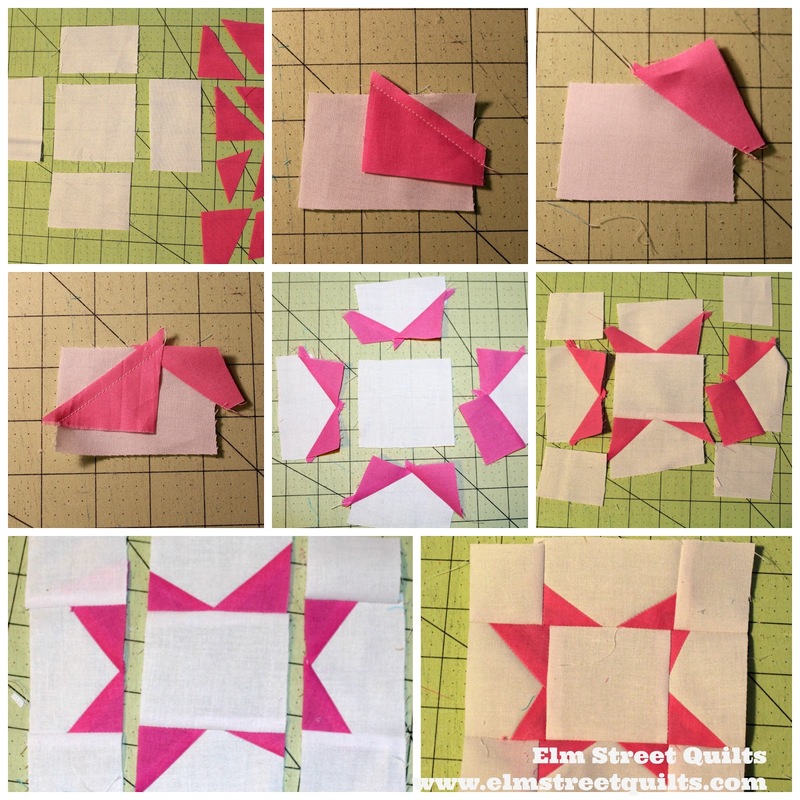 Combine rectangles and triangles to create wonky stars. 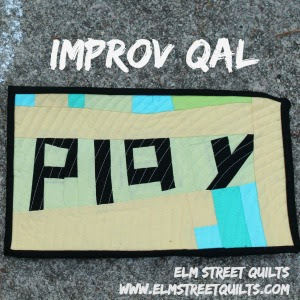 I'm working on a larger improv piece to share at the end of the QAL - it will definitely have some stars! Lay your triangles so they lay overlap the edge on two sides. (See photo top row, center above). Trim excess background fabric with scissor. Periodically press and trim to get straight edge. Next prompt Monday, March 20. Here's a sneak peak. I loved the wonky geese, too, but am excited to play with stars this week! Thanks, Patty! O my~ How Cute that Star is!!!! 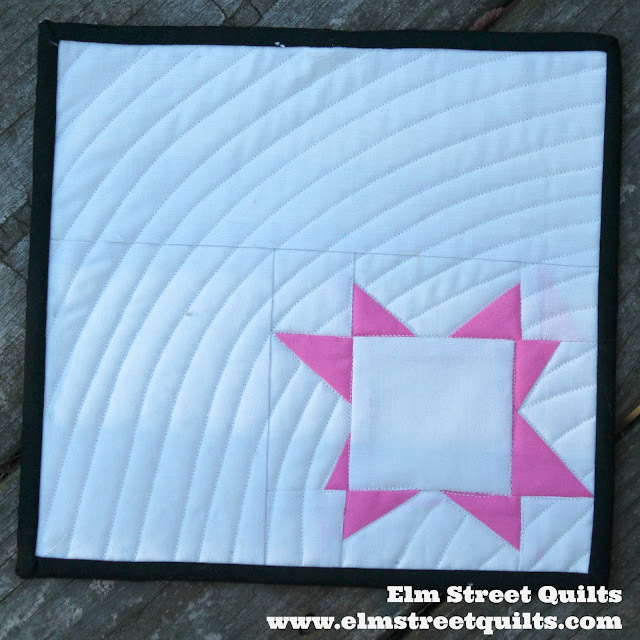 Such an adorable mini quilt!